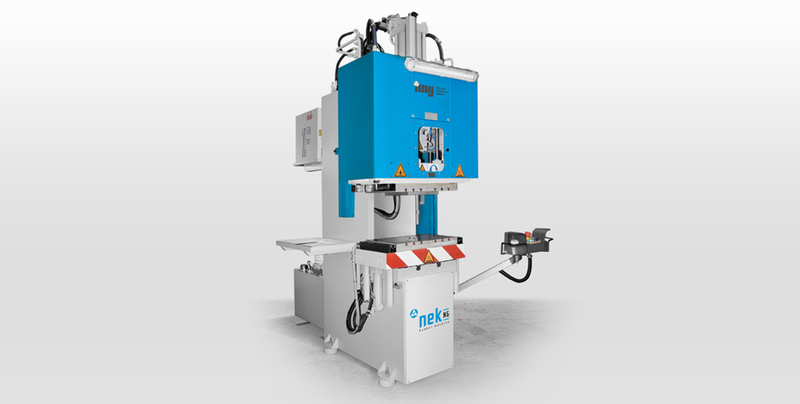 Gooseneck vertical injection moulding machine for rubbers, with from the high to the bottom pistons clamping. Piston clamping system (n.2) provided with approaching cylinder for a quick clamping and opening. Mobile plate driven on prismatic guides. Vertical injection with reciprocating screw and dedicated profile. 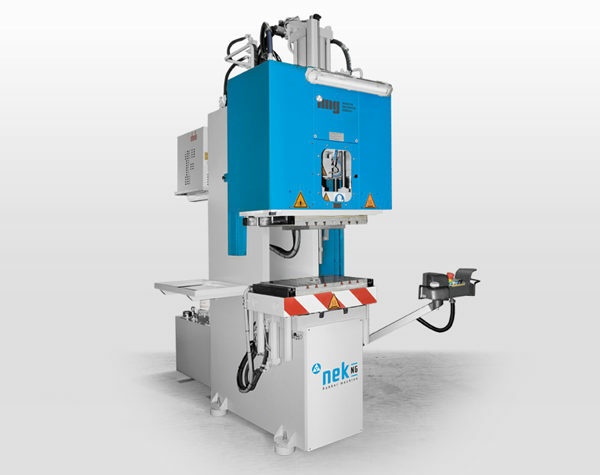 As an alternative: horizontal injection with reciprocating screw and dedicated profile. Possibility to combine, on demand, rotary table or transfer lower platform. Available from 50 to 100 TON.